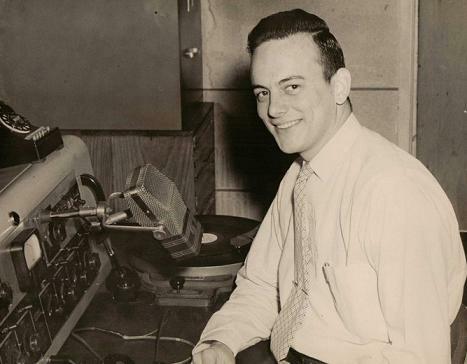 Thanks to Carolyn: It is with sadness that I let you all know that Johnny Mack Driskill passed away September 18, 2015. 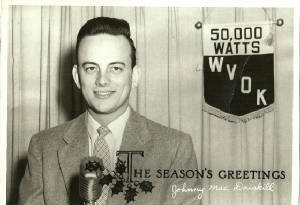 Radio broadcasting was his first love; he began his broadcasting career as an announcer at radio station WBRC-AM in Birmingham, and worked for local stations WVOK and WSGN using the on-air professional names Johnny Mack and Mark Leigh. 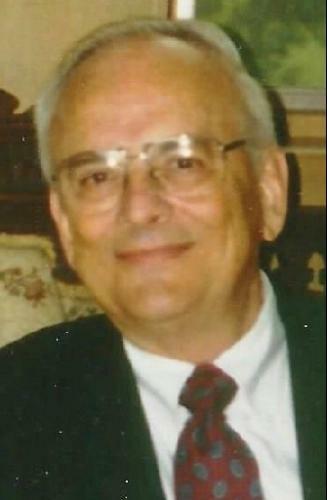 Over the years he managed stations in Alabama and Georgia and received awards for outstanding achievements in both work and civic organizations. He met his wife Carolyn at a street dance sponsored by WVOK in 1953 near Five Points West and they were married for more than 61 years. He retired from America's First Federal Credit Union. He enjoyed tennis, football, music and was an avid baseball enthusiast. He is predeceased by brother J.T. Driskill and sister Louise Driskill Hogan. He is survived by his wife Carolyn Hammond Driskill; son Mark Darrell Driskill and daughter Leigh Elaine Driskill-Gomany (Ken), both of Hoover; sisters Freda Driskill Welch of Homewood; Virginia Driskill Ogle of Atlanta, Ga., and a host of nephews and nieces.